Hygienic Terrazzo flooring systems are highly recommended for use in hospitals, medical research and development laboratories and facilities and in kitchen and in food handling and preparation and other sterile environments and the pharmaceutical industry where cleanliness and sanitization is of utmost importance. In these settings cleanliness is of greatest priority if not its number 1 concern. It is very important to reiterate that these industries have to have only the cleanest of surroundings due to the higher risk of bacterial growth and infection and contamination in these theoretically very clean places. But, sad to say these areas are also the very places where contamination is of the highest risk factors when it comes to contaminations and infections. Terrazzo Tile is a great flooring choice mate! If you are looking for the best quality flooring material that is conveniently versatile and which will certainly meet the many tiling requirements of a lot of individual tastes? Terrazzo definitely fits in in this description perfectly. Terrazzo is tough, beautiful, easy to clean and maintain, it’s perfectly perfect, truly it is mateys! Building beauty and durability that fit anywhere, everywhere all the time! Terrazzo materials work beautifully in any construction project if not most, due to its many varied applications that not only enhance the project’s image but also contributes highly to its added elegance and prestige at the same time. 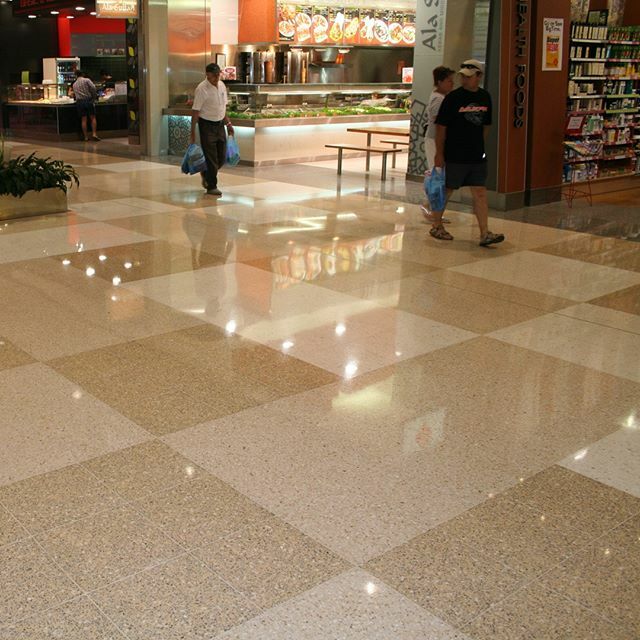 You can utilise terrazzo as long-lasting tile flooring in your high rise buildings and hotel lobbies, offices, homes, shopping centres, food courts or specialty shops. 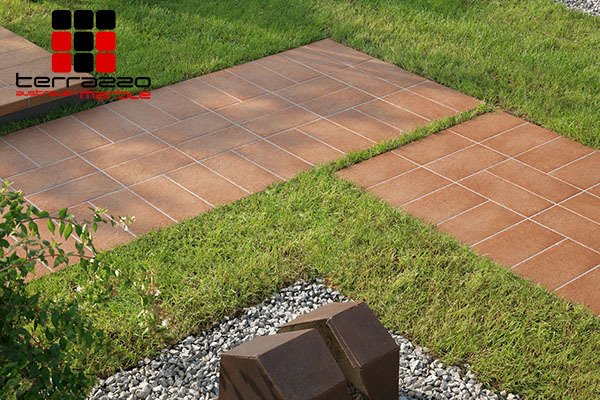 Out in the outdoors, use it on high foot traffic areas as pavers in walkways, pool side areas, terraces and driveways or as functional and decorative pre cast for walls, stairs and risers, skirting, wall panels, coving, benchtops or public furniture. Terrazzo’s water resistant property is highly evident and its ability to repel most stains make it an equally good choice for your all-important pantry countertops, showers, baths and swimming pools and bathroom partitions and flooring as well. For your interior design concept or architectural floor and building plans remember, whether you’re aiming for that minimalist, subtle elegance or a more up-to-date and intricate design, terrazzo can impeccably deliver the style of your particular choice. With terrazzo, “beautiful and durability” comes hand in hand in every way! Plus, the infinite number of colour combinations terrazzo provide your construction projects offer you more options to delight your clients to the max! In addition to its many advantages, terrazzo is fairly lightweight in terms of load compared to other construction and building materials, it is particularly suitable for large scale flooring projects on high rise buildings and condominium properties. In hindsight, terrazzo tiles and pre cast products are truly an excellent choice in large construction projects where the load factor is a most important consideration. The great outdoors or more to the point, the great Australian cosmopolitan outdoors will certainly look more pleasing to the eyes with Terrazzo Pavers from Terrazzo Australian Marble. Terrazzo Pavers add a more sophisticated look to outdoor malls and specialty shop walkways, swimming pools, patios, public walk ways, theme parks, hotel entrances, street sidewalks, backyards and a host of other outdoor installations. Its sturdiness is perfect for heavy foot or pedestrian traffic areas. What more, these Pavers are manufactured with safety in mind with its anti-slip and easy to clean with its honed finish as a standard. Plus and more importantly, Terrazzo Australian Marble range of external terrazzo pavers are hermetically pressed to produce a durable tile that will withstand the elements; come rain, sun or snow for years and years to come. Unique and colorful, Terrazzo Pavers adds a touch of difference and more exquisiteness to the surroundings. Most architects, builders and homeowners are mesmerized by what Terrazzo Pavers can achieve in the overall design concept of a particular construction venture. 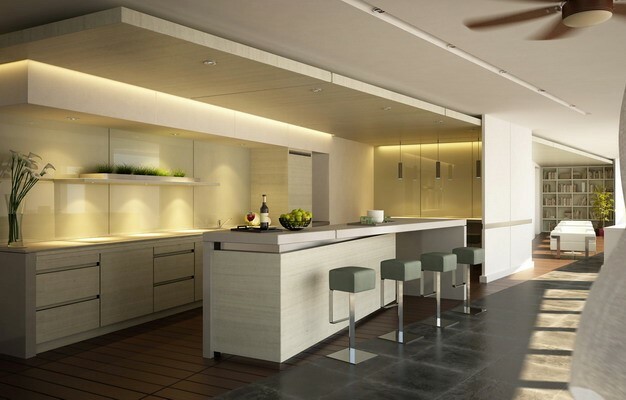 Modern home interior design focuses more on having clean lines. It focuses on using basic geometric shapes. It does not utilize traditional decoration and uses simple materials such as glass, concrete and chrome. This guide will help select the perfect Terrazzo benchtop for your modern home motif. The design philosophy of modern home is less is more. This design leverages mainly on white, grey and wood. Minimal furniture and art pieces are displayed so as not to disrupt the simplicity. What are the ideal places to have an urban interior design? Ideally, this motif works very well with space with smaller interior (apartments, condominiums). Because the focus is having less decorations/furniture, this projects an illusion of a larger space. Busy professionals adore this motif since it is easy to maintain. The specifications of the precast for Terrazzo benchtops are usually 38mm thick and has a maximum length of 1000 mm. The precast is made from Portland cement. It is mixed with sand, marble and mineral pigments. This produces the desired colors and textures perfect for the urban interior motif you have been dreaming about. Black & Greys– Modern interior is dominated with white or light colors as its wall. Black and grey cast works very well on this. This projects bold contrast that is very appealing to the eye. Whites– a darker shade of white can also work with this motif. The darker shade provides a subtle accent to the surrounding and blends very well with the theme. Colors– for sophisticated people, Terrazzo benchtop also offers different kinds of colors that will fit their modern home inspired themes. Bold contrast using red and green can be used. This helps emphasize lines of furniture pieces. What are the advantages of using Terrazzo benchtops for modern home interior? Easy maintenance– The marble texture is very easy to clean. If dust and dirt are accumulated, you can wipe it clean with rug and water. The material used dispels stains better compared to wood. Durability– unlike wood, our precast can withstand water. There is a tendency for wood to be damaged by water droplets over time. Glass can dispel water however it is not as durable compared to marble. This is built to last. Elegance and sophistication– the texture and colors the desire of the owner to have a free and uncluttered environment. It creates an impression and atmosphere of simplicity and calmness. Combining it with your modern home makes your residence more relaxing. Hope this guide enlightens you on the different benchtop motif you can use for your modern home. Terrazzo benchtops offer a wide array of precast themes. Feel free to browse around and find the perfect one for your lifestyle.